There has been a lot of discussion about howHillary Clinton or Donald Trump could potentially affect the Supreme Court through the nomination of justices, but the current court could, in theory, play a role in who gets elected to the White House. It's not unprecedented, and though highly unlikely, is a possibility in this contentious election. 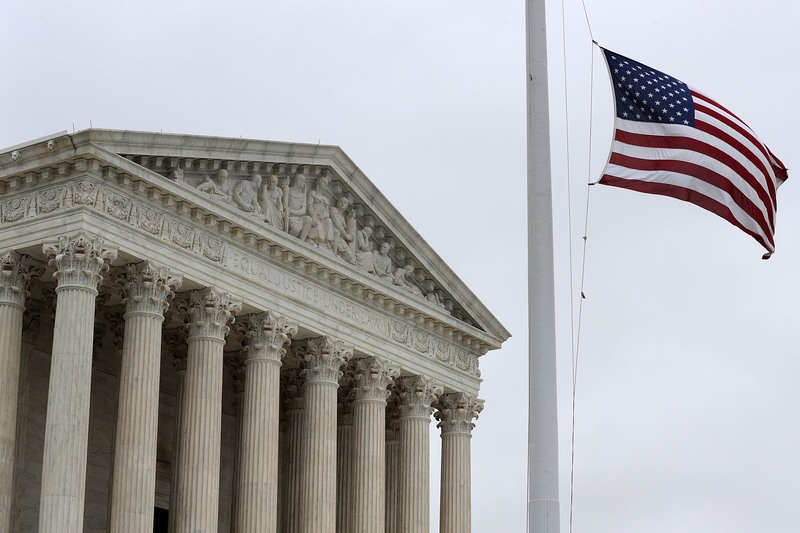 So could the 2016 election be decided by the Supreme Court? It could, and it has nothing to do with what justices each nominee would appoint if they were elected to office. It's rare for the outcome of the election to be disputed after the votes come in, but if it is, it falls to the justices to settle it. A notable situation in recent history was the 2000 race between Al Gore and George W. Bush. Part of Bush's win hinged on Florida, and Gore famously called for a recount and called for a look at the process. In Bush v. Gore, the court ultimately decided that, under the 14th Amendment, using a different vote count standard would violate the equal protection clause. They also said that a reassessment of the vote count could not be completed before the December 12 deadline to do so. As you likely recall, Bush assumed the presidency. But that wasn't the only time that the court was involved in a presidential election. In the 1876 race between Rutherford Hayes and Samuel Tilden, four states — Florida, Louisiana, South Carolina and Oregon — sent two rival groups of electors to decide the race. Since Congress was deadlocked, a panel of 15 people, including five justices, ultimately decided the outcome of the election, which went to Hayes. After that, a law was passed in 1877 that included guidelines on how Congress could settle the outcome of an election without involvement from the Supreme Court, so they won't be asked to be on any special commissions going forward. So how could they be involved in the 2016 election, potentially? As the Constitutional Center points out, it would be a similar situation to 2000, in which there would be a dispute over a state when the race was tight. Currently, 43 states allow for the loser in that state to call for a recount. A lower court dispute could eventually wind its way up to the Supreme Court. That's all pretty unlikely. Out of all of the presidential elections in the U.S., only two have been settled by direct involvement from the court. But hey, it's 2016. Anything can happen.